You ever see those commercials for workout programs and equipment? 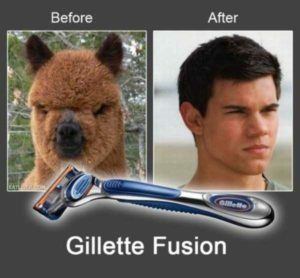 I always find it so amazing to look at the before and after photos on these things. Men and women, many of whom are my age, who may have struggled with their weight for years and just decided that they were tired of it. They then worked hard for months, sometimes years to develop healthier habits. They asked for help from friends and family and made alterations to their lifestyle to reinforce these changes and after lots of hard work they finally arrived at their goal weight and were able to take the victory lap of weight loss: the “after” photo. Before and after photos are often really cool to see – the first image looks like a totally different, but similar person from the second, as if they might’ve been related – perhaps siblings. I like seeing these because they’re a physical and visible example of life transformation. The problem is that they don’t tell the whole story. Not only do they not tell you about the struggle in-between the “before” and the “after” even more importantly they don’t tell you the story of what happened after the “after” photo was taken. Did they stay on track? Did they backslide a little? Were they carried into heaven by a flaming chariot now that they reached physical perfection? I think that because the church is so aware of how much everyone needs Jesus and the dramatic transformation he brings about in peoples lives we tend to think of people in one of two ways: they’re either a before or an after; meaning that either they haven’t surrendered their life to Christ (and therefore are a terrible mess) or they have surrendered their life to Christ (and therefore have things totally figured out.) But we know that there are usually many more steps in Christian maturity and growth beyond salvation. Obviously the importance of the first step of accepting Christ cannot be overvalued, but that doesn’t mean that it’s the only step. Yet the church often seems to believe that the people outside of the church are the only ones who need the church. As if to say that once you’re in the church you no longer need teaching, guidance, financial assistance, community, or counseling. That’s what everyone outside the church needs, but now that you’re in the church you no longer need it. This breeds the idea that when we, as Christians, do have issues, we’re the only ones. If you struggle with depression, marital issues, addictions, or meeting your family’s basic needs – it can seem like the church isn’t the place for you, because the people of the Christian church have it all figured out, right? The resulting effect is either that people either try to hide those issues or they don’t engage with the church because they feel like they don’t belong. Either way the very thing they need; the church isn’t able to help them. Meanwhile, the truth is that there are no “after” photos in the Christian faith. There are only “during” photos. The Christian life doesn’t end with Jesus, it begins with it. We don’t believe that Salvation is the only work of grace. There’s sanctifying grace that continues to work in a person’s life until they go to be with Jesus at which point I fully expect they’ll take an “after” photo of you upon your arrival in paradise. Yes there is a definite before and after in the Christian faith. Jesus’ impact on a person’s life should create a transformation that may be dramatic. 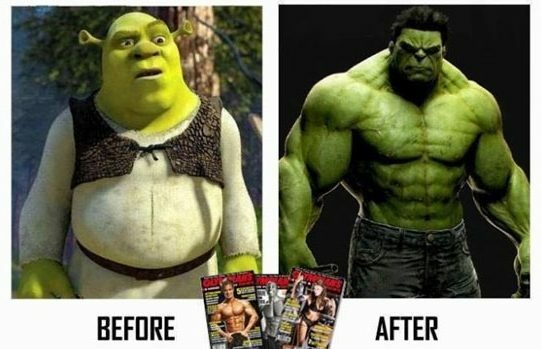 This can be a very clear “before” and “after,” but the reality is there is more to it. To be accurate the after photo would have to be a video time lapse of a person as they continue to live their life. The time-lapse might have moments of pure happiness; where joy seems obvious on their face. Then they might have moments of frustration and doubt, where they’re angry with God. There might be moments of obedience where they trusted and God were faithful, despite their feelings. Then they might have moments where they feel like they’ve messed up again and aren’t deserving of forgiveness. They’ll have moments of assurance, and moments of despair. Hopefully they have moments where they grow closer to God and find that it’s easier to resist temptation as they know him more. That would be quite a long “after photo,” but it would be more accurate then a single-frame snapshot of a person’s life depicting them at one high moment. it might look kinda like this. I think I too often appear to people who see me from afar as an “after” photo when I’m really a “during.” While I don’t think it’s wise to broadcast every struggle – after all it’s not about me – I do think there is some merit to admitting that we all have them and that I am a part of “we all.” So let me proclaim: any snapshot you see of my life is a “during” photo. I have moments of joy, moments of obedience, and moments of growth, but I also have moments of despair and moments of embarrassment. While I’m growing closer to God and learning to follow him better, it is an ongoing process. I do not say this to excuse my shortcomings, I say this to acknowledge them and declare that my hope and righteousness is in Christ. This is especially tough to keep in mind in today’s social media- driven world. You see a friend post about their marriage, or the birth of a child, or the fact that they just got another degree, bought a house, got a promotion, or are on an expensive vacation. Or maybe it’s not material success; they post photos of their family in worship, or the scripture they read this morning, or the theologian they’re reading. You look at this and think they have it all together; that they’ve arrived. In reality, they don’t post about the fight they had with their kids before getting to worship. They don’t tell about the fact that they lost their temper with a co-worker and they got reprimanded at work. They don’t explain that they’re struggling financially because they’re in a huge amount of debt due to the new house, expensive degree, and crazy vacations they’re taking. Those “after” pictures, don’t show the whole picture. Also – don’t be afraid to unfollow those people that are only posting things that make you jealous or angry. You’re not obligated to keep up with them. I’m sure you realize all of this, because you’re smart, but I’m amazed at the number of people who complain about the kind of things they see on social media – which is a totally customizable medium; tailored to the way you make it. You don’t have to unfriend those people, but you don’t have to follow them either. If seeing those things aren’t edifying to you, then why choose to continue to see them? And while we’re on the topic – don’t contribute to the noise by being dishonest about your situation. You don’t have to broadcast every high and don’t be afraid to ask for prayer as a way of letting your friends know that you’re human. 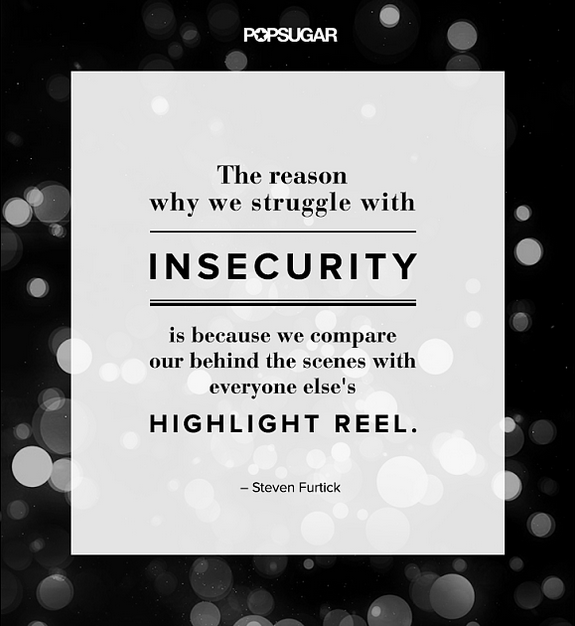 Otherwise your highlights might be someone else’s struggle. To sum it up simply: The Christian walk isn’t a sprint wherein you might run hard for a few hundred feet, but then once you reach the end you get to soak in the hot tub for the rest of your life. It’s an ultra marathon that lasts for days and nights and is longer than anything else you encounter. Some days it’s uphill. Some day’s it’s flat and boring, if you’re fortunate, you’ll have a few days wherein you’ll run through a stretch where the crowds are lining the road, cheering you on. There are no “after” photos in the Christian life, so enjoy the during – it’s the during, the journey wherein we grow closer to Christ as we constantly rely on him in our struggles.